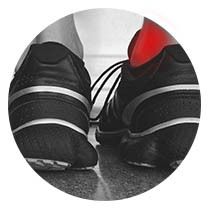 The Podiatrists at Podiatry offer clients effective pain relief and successful foot and ankle care. Our clinic accomplishes this in a multidisciplinary setting that provides convenience and affordability. We welcome community members of every description, from weekend warriors and busy mothers to office workers and those in their golden years. Our office is family-friendly and prides itself on helping those it serves to walk a better life.